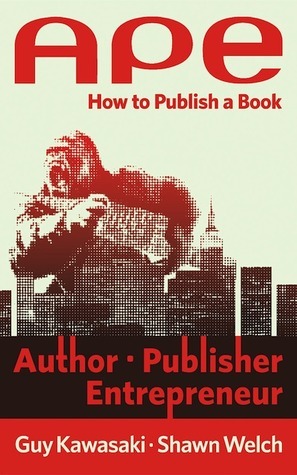 Chapter 1 of APE titled "Should You Write a Book?" reminded me of a book I read in a previous class with Dr. Blakesley called The Late Age of Print: Everyday Book Culture from Consumerism to Control by Ted Striphas. This book really opened my eyes to the truth about the publishing industry, a field that I was determined to enter upon graduating from Clemson a couple years ago (unsuccessfully, I might add). In this book, Striphas details the one thing that is really at the heart of publishing, the thing that drives motivation at the highest levels of the field: money. 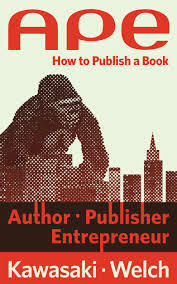 APE may not be the most detailed book in the world, but when it comes to navigating the shifting publishing market, anything more specific than what Guy Kawasaki has given us might well by next year become as outdated as a VHS player or a scroll wheel on an iPod--two things archaeologists claim to have existed sometime during the pre-milleniazoic era. One idea that Kawasaki broached in the early chapters of the book is of the democratization, as he calls it, of the printed media. When publishers, and now even authors, are able to publish their books at a much lower cost, it becomes possible for more and more people to get their work out their. Now more than ever this is the case.